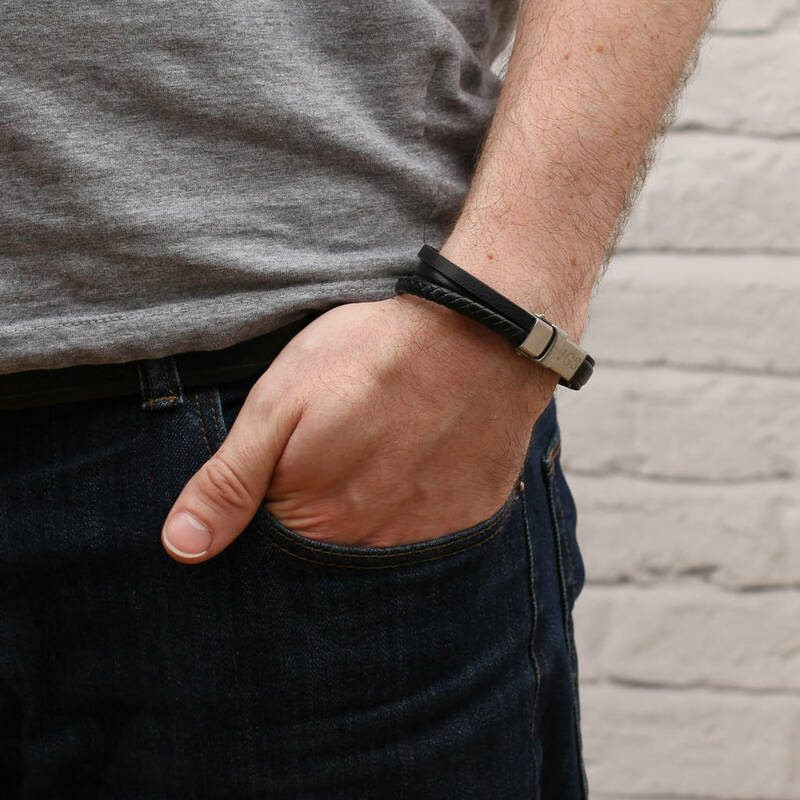 This stylish personalised leather bracelet features a usb and lightening conductor. Plug it in to any USB port and charge for a full phone battery. Batteries that never die are probably a long way off and carrying a long, tangled phone charger in your bag or pocket - and remembering that it's there - is a pain. Not anymore. 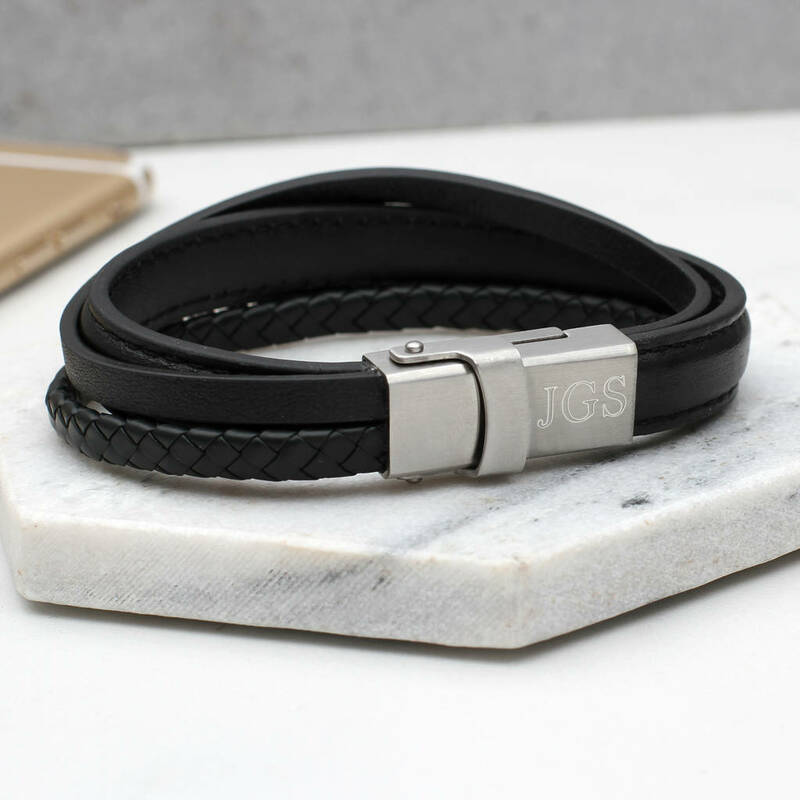 This stylish and classic braided leather bracelet features an integrated phone charger, right in the clasp. 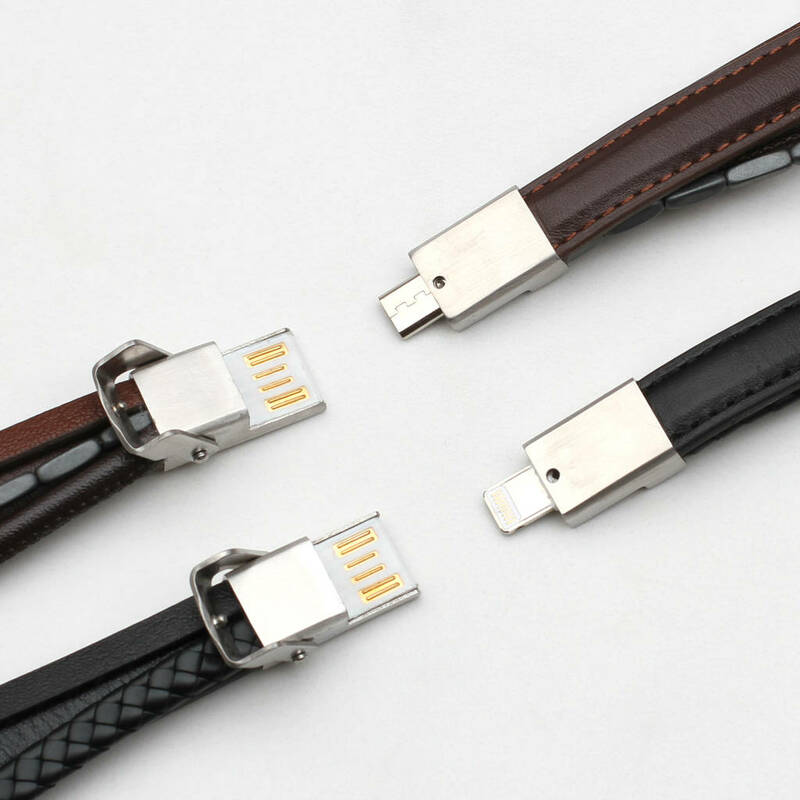 Simply take it off, plug it in to any USB port, and then pop it right back on and go - with a full phone battery. 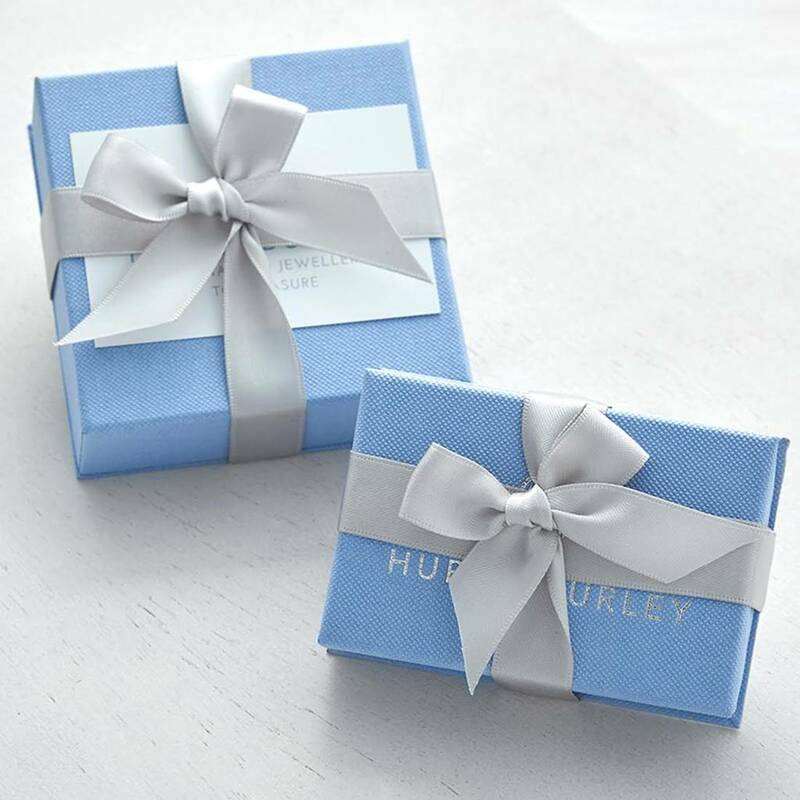 A stylish and practical personalised gift. 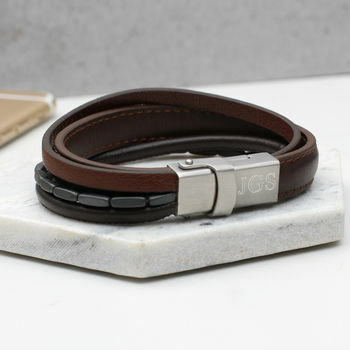 The clasp on this four band leather bracelet conceals a USB and lightening conductor for Applle devices or micro USB for Android devices..
We will personalise the clasp with the lucky recipients initials to create a very useful bespoke gift. To show a heart symbol please put ? We engrave our pieces to create bespoke items especially for you. We are always happy to try and help if something is unsuitable but we regret we are unable to offer refunds on personalised items. 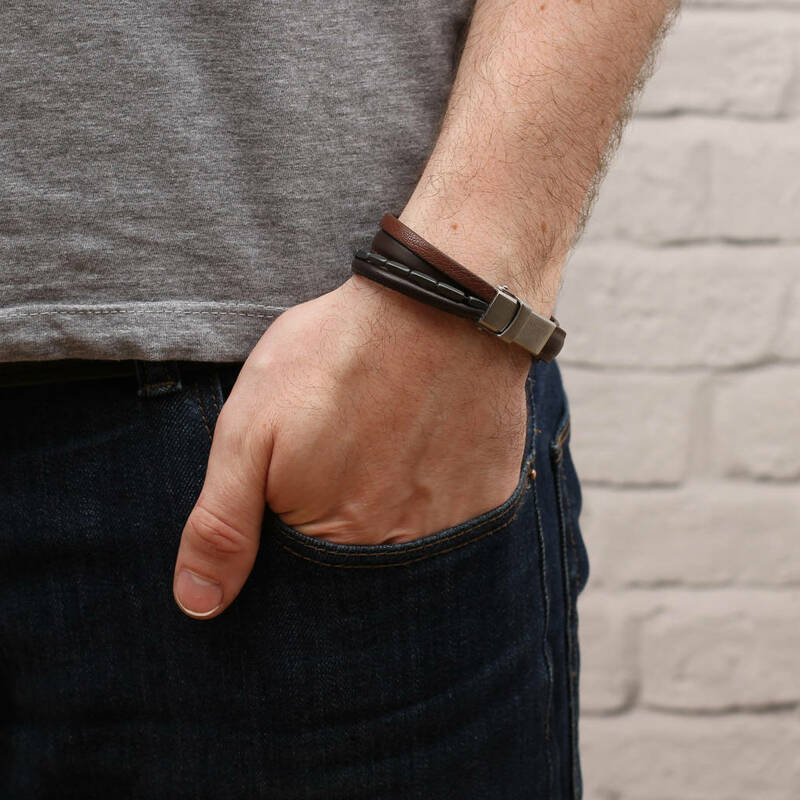 Our bracelets are very sturdy but do not like being exposed to water, so please don't wear them in the shower to ensure a long and healthy life! This product is dispatched to you by Hurleyburley man.